While much of the discussion around blockchain has surrounded bitcoin and its ups and downs, corporations and businesses are quickly waking up to the possibility of using blockchain to secure and improve large volumes of transactions as well. By removing the need for trusted third parties, blockchain has the potential to make interactions within massive networks more efficient. While much of the private blockchain solutions in development are catered towards securing transactions within large financial institutions, blockchain technology can also have profound effects on industries that fundamentally affect the lives of everyday consumers. Here are five industries that represent a similar set of characteristics – significant middlemen costs, inefficiency, and lack of transparency – that the blockchain is designed to improve. For all the excitement around them, public and large-scale elections are just as confusing as they are satisfying. Even if the candidate of your preference does win, how confident can you be in the accuracy of the results? The risk of maintaining a centralized voting system is growing exponentially, as hackers improve their abilities while current practices become increasingly outdated. Blockchain can be the solution to this complicated nightmare of trust and verification issues. At its core, Blockchain is a permanent cryptographic record – a ledger of digital events that can only be updated by a consensus vote. It provides a balance of all the traits you would want from a true and democratic voting platform, as it provides an immutable, yet also fault-tolerant system for storing information. In addition, you cannot change or alter the system without showing the rest of the people in the network, which gives the public a transparent view into how things really play out. With countries such as Estonia already pioneering online voting – which says up to 11,000 working days per election – it is easy to see a technology such as blockchain further securing and digitizing voting processes in the future. The transactional nature of the real estate industry is confusing, inefficient, and, perhaps most importantly, extremely expensive. There is a long string of middlemen (think brokers, titling agencies, inspectors, etc.) who slow down the process, amplify human error, and drive up the costs of doing business. With smart contracts, the core innovation behind the globally recognized Ethereum blockchain, not only can the cumbersome process of going through a series of middlemen be done away with, transactions that required independent third parties to process can now be made more efficient and cost-effective as well. For instance, by allowing pre-written contracts to be executed automatically when stipulations are met, smart contracts can automate escrow processes and ensure that property ownership and payments are exchanged efficiently and with complete transparency. One of the most exciting companies in the space is REALISTO, who employs the Ethereum blockchain to overcome many of these inefficiencies. Every investment made via their crowdfunding platform is mirrored on their blockchain and verified via smart contracts. Currently, real estate investing is made exclusive to those with millions and millions and barred from the masses. REALISTO is effectively democratizing real estate investing – making it possible for individuals (small and medium size investors) to get involved and exercise their investing rights. There is little more than a label on a shirt that tells you where it is made. For consumers and business owners alike, there are few ways to find out where your products or production materials truly originate from. Even in an increasingly globalized market, most of the ways with which we can verify the origin of a product (e.g. website, product label) can easily be forged. The freight and logistics industries are a messy conglomerate of third parties all charging each other different rates and communicating independently of each other. So how do we know we are getting what we paid for? Blockchain technology, with its immutable ledger and virtually unalterable records, is already making strides in massive industries that process vast amounts of data, effective tracking, third-party accountability, and automatic fulfillment. Where a product was produced and where it went to before landing in your hands can be automatically tracked on the blockchain for all to see, increasing transparency and accountability for all parties involved. In 2016, the average annual loss per company worldwide due to protecting against cyber threats was nearly $17 million in the United States alone. By 2019, it is expected that cybercrime will cost businesses (in total) of $2 trillion. With growing costs and risks to both our personal and professional security, the threat of cyber attacks is clearly an important problem. Blockchain is designed to be virtually unhackable – or at least be extremely difficult to hack. To put it in simplistic terms, because a blockchain is an immutable ledger, to hack one transaction would require one to hack all the transactions preceding it, to the beginning of the blockchain. Bitcoin, for instance, uses a proof-of-work system that would require an extremely high amount of energy for hackers to attempt to launch malicious attacks. The blockchain itself is also structured in a way that actions that contribute to the stability and trustworthiness of the chain rewards the actors (e.g. verifying transactions, or mining, provides reward in the form of cryptocurrencies and transaction fees). As such, blockchain solutions can be used to deter and prevent cyberattacks, as well as secure vast amounts of sensitive data by removing a single point of failure through decentralizing the network. Finally, perhaps the most talked about application of blockchain – banking. With the formation of blockchain consortia – or groups of financial institutions that collaborate to develop blockchain solutions – blockchain is already set to affect the way financial institutions process payments and handle settlements. Traditionally, settlements between merchants and banks can take up to days. As consumers, you would have to wait three to five days for your payments to be cleared and verified behind the scenes after swiping your debit card at a local merchant. With bitcoin, however, transactions can be processed within hours. With new improvements such as the Lightning Network being developed as we speak, transactions may be cleared within minutes, even seconds. 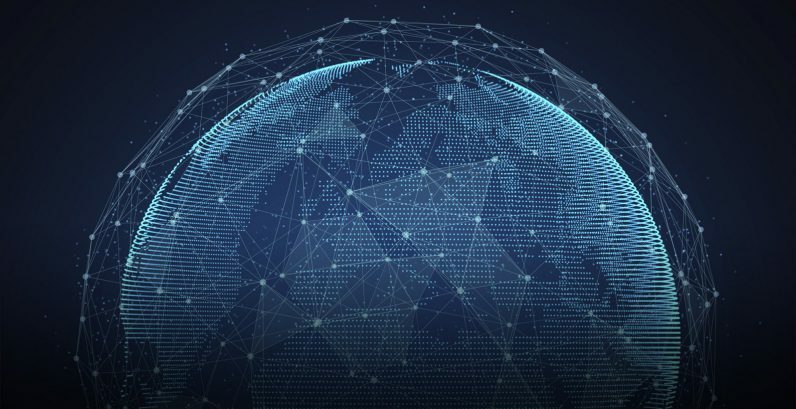 Not only can we use banking to eradicate middleman fees and infrastructure costs that currently exist in the market, but we can also use blockchain technology to enable global adoption of modern banking. By digitizing payments on a secured network, blockchain can serve the 2 billion unbanked people ignored by institutional banks. To use cryptocurrencies, all you need is a smartphone – no minimum account balance, credit history, or banks. With smartphone penetration increasing in developing countries but banking services still lacking in the global south, cryptocurrencies present an efficient solution to banking the unbanked.